Description: Look at the bottom 7 cards of your deck. 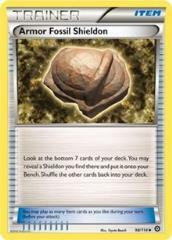 You may reveal a Shieldon you find there and put it onto your Bench. Shuffle the other cards back into your deck.